The first time I heard of Adam Cappa through Jeremy Camp, I was wowed. It was his song “Sail Away,” recorded independently that really hit home with me at a hard time in my life. Shortly thereafter, Adam signed to BEC Recordings and began plans for a full-length record. For fans, Adam recently released the three-song The Rescue EP which provides an excellent preview into the new album. The EP, actually co-produced by Jeremy Camp, shows off Adam’s awesome mature vocals and contemporary style. The title track opens the EP, a hopeful track about finding our rescue in Jesus during the hard times: “I need You right now, here in this moment/ I’m losing ground, can’t keep going/ I’m calling out for You to rescue me…” A track that I have loved ten times more after seeing the music video, “The Rescue” seems to summarize the music and ministry of Adam Cappa. ‘All I Want,” with beautiful piano and strings, builds strongly by the chorus, speaking of the only thing we want – Jesus – and speaks of the beauty of being in His presence. And lastly, the slow piano track “How Worthy” has a gospel tone to it, in a track that makes it easy to pour out your heart in worship along with Adam’s welcoming vocals. 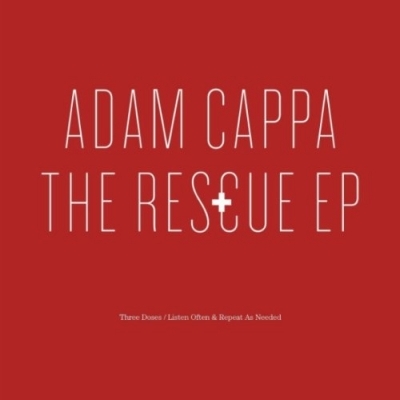 Adam Cappa’s three-song EP is enough to tell you that he is an artist to watch! His worshipful and inviting music will resonate with your spirit and encourage you in your walk with Jesus.